Elon Musk is letting employees know that staff cuts mean it’s time to start working harder, Carlos Ghosn may have actually screwed up after all, Nissan is chopping staff numbers and Colorado is going electric. All this and more in The Morning Shift for Friday, Jan. 18, 2019. It looks like Tesla isn’t out of the woods yet. 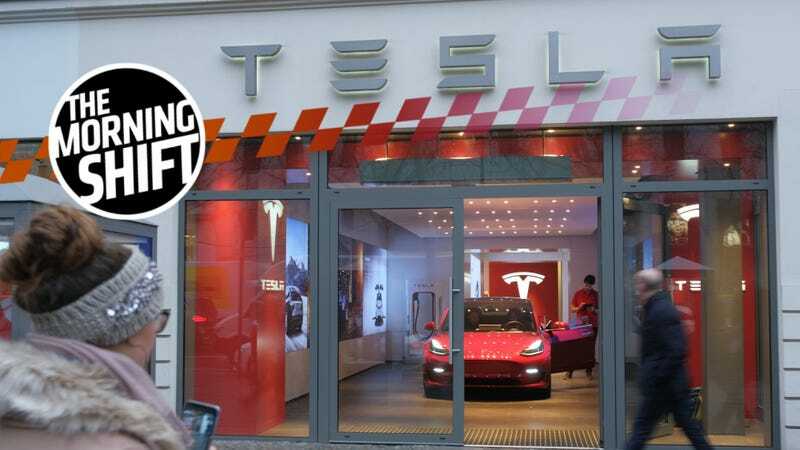 While there was room to grow after the difficult year that was 2018, it sounds like Tesla might actually be shrinking operations. Tesla shares have fallen eight percent, the Model S and Model X are losing their base 75 kWh battery package, they’ve dropped prices, and its vehicles are no longer eligible for the EV tax credit. In an email to employees, Musk notes that the company faces a “very difficult” road ahead in its long-term goal to sell affordable renewable energy products at scale, noting the company is younger than other players in the industry. “Tesla will need to make these cuts while increasing the Model 3 production rate and making many manufacturing engineering improvements in the coming months,” Musk said in the company update. The full text of Musk’s email is available to read here, if you’re interested. There’s no word on exactly how many employees will be laid off, but if Musk’s October tweet that 45,000 folks worked for the company is still relevant, that would put the number at around 3,150 layoffs. You can’t escape Carlos Ghosn these days. The former Chairman and CEO of Nissan has been in trouble with the law for charges of understating his salary and transferring his own investment losses into the Nissan books. Ghosn has denied everything, and it hasn’t been totally clear if he’s been the victim of a conspiracy or not. It’s not abundantly clear if Ghosn actually broke any laws. The joint venture was based in the Netherlands, which brings in more legal variables than are already at play. Masuko feels there may be something to be gained from taking legal action, though, given that no one was aware of Ghosn’s actions. It certainly isn’t a good look for a man who has already been removed from his chairman positions and Nissan and Mitsubishi and who has been jailed several times in the last few months. Nissan Motor Company is planning to cut as many as 700 workers from a factory in Canton, Mississippi in the face of its own economic and legal struggles around the world. The tenth state to follow in California’s footsteps, Colorado governor Jared Polis has signed an executive order proposing that the zero-emissions-vehicle rule be enacted no later than May of 2019. The goal here is to force automakers into selling more electric vehicles by expanding on a clause in the U.S. Clean Air Act that allows states to make their own rules separate of the federal government. The mandate would make Colorado the 10th state to join California’s electric-car posse that’s enacted rules requiring automakers to sell more electric cars each year. California regulators estimate the program will lead to pure-electric and plug-in hybrid cars accounting for 8 percent of auto sales in the state by 2025. Polis also allocated a portion of the $70 million the state received from Volkswagen’s emissions scandal settlement to support a more electrified infrastructure. That means the development of electric transit buses, school buses, and trucks. Sedans are a dying breed, but Mercedes is determined to make their A-Class into an underdog story. That’s right: They’re sending to A-Class to the Super Bowl in the form of the automaker’s commercial. I mean, it only makes sense—the game is taking place on February 3 at the Mercedes-Benz Stadium in Atlanta, after all. The A class will have to share the 60-second spotlight. Atlanta-based rapper and Grammy Award winner Ludacris will make a guest appearance in the commercial. “Luda,” as he’s called, is a Mercedes-Benz brand ambassador. The A-Class is being marketed to millennials as a gateway vehicle to the rest of Benz’s luxury cars. Loaded with tech and starting at $33,495, the Super Bowl appearance is Mercedes’ attempt at becoming more relevant to the younger folks. Neutral: Where Does Telsa Fit Into the Future of EVs? The Tesla name is pretty much synonymous with electric cars, but its status as leader of the EV world could be threatened by the emergence of so many incredible all-electric concepts, some from automakers we already know and love. Is Tesla still going to be leading the charge, or is it going to take a backseat in the race to electrify?